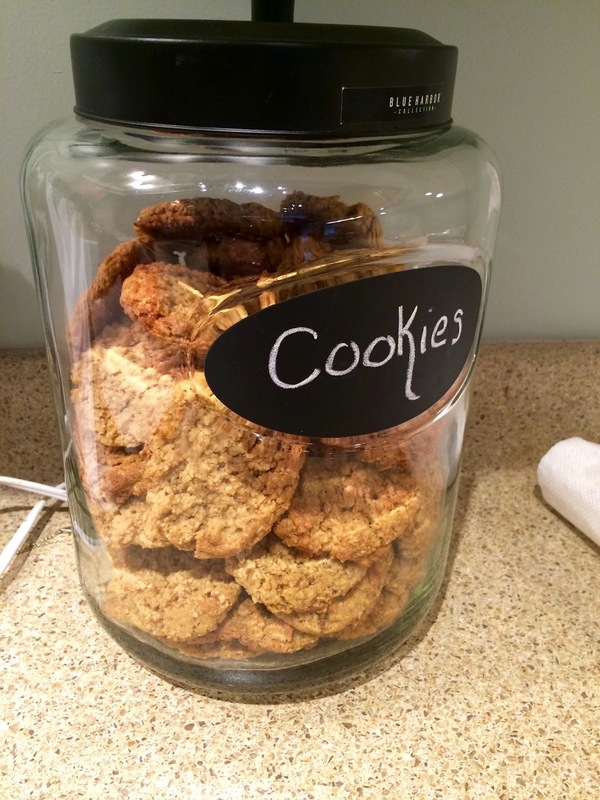 Homeschooling Mom of Four: Cookies! Today I was experimenting with an older recipe of mine and after all was said and done, they turned out quite well. 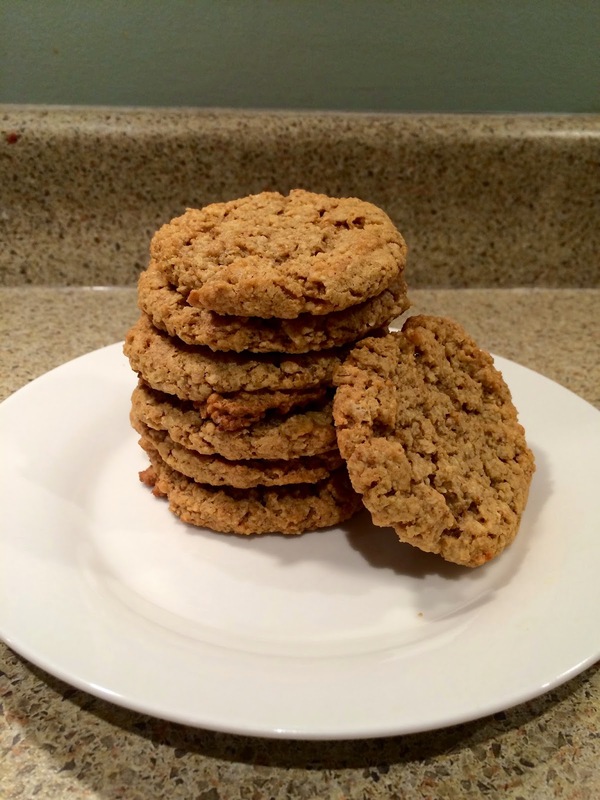 I replaced the white flour with almond flour and oat flour and replaced the sugars with coconut sugar and cane sugar. Drop by spoonfuls onto a cookie sheet (I lined mine with parchment paper) and press down slightly. Bake for 10-11 minutes in a 325* oven. My cookies looked quite underdone when I took them out but they finished their baking while cooling on the cookie sheet. This made 50 good sized cookies.